These highly concentrated programs allow students to participate in all aspects of the Bible college experience without spending an additional four years in school. They are offered hands-on opportunities to immerse themselves in various facets of ministry, in the classroom and beyond. 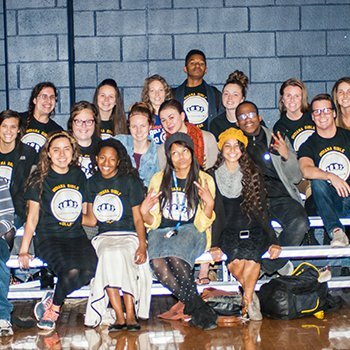 Most transfer students take part in all of the campus ministries and outreach opportunities IBC has available, including the Ministerial Student Association, Choir, Chorale, tent revivals and Spring Break mission trips. The One-Year Bachelor (OYB) programs are offered in conjunction with both the IBC Worship Studies and Biblical Studies departments and are open to students who have already obtained a bachelor’s degree from a four-year institution and have an interest in earning a second degree in one year of intense study at IBC. The Worship Studies Department OYB allows students with a bachelor’s degree in music to take core doctrinal courses, along with advanced, upper-level music and worship studies courses. 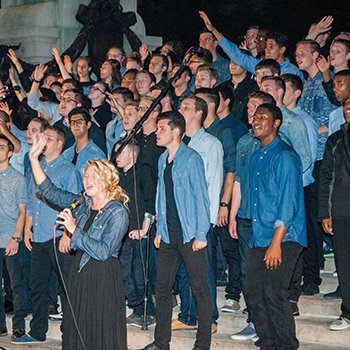 The curriculum is equally balanced between core Bible and Theology courses, technical music courses, and worship studies courses, which highlight the intersection between music, theology, and ministry. The Biblical Studies Department offers two accelerated degree programs. The program is focused on upper-level Biblical Studies courses. Students are required to take 19 credits per semester, 10 required Bible and Theology, five elective Bible/Theology, and four electives from any area of study, including ministry, worship studies, international studies, communications and media, religious education or social science. The Two-Year Bachelor (TYB) focuses on students with an associate’s degree. The program requires 64 credit hours, comprised of advanced Biblical Studies courses. Students who complete the TYB degree plan can graduate with a Bachelor of Arts in Biblical Studies in just two years. A minimum of 16 credit hours are required per semester for degree completion. The student’s first year mirrors the Biblical Studies OYB very closely. Requirements include: Soteriology, Gospels, Early Church History, Major or Minor Prophets, Corinthians, Book of Acts and Gospel of John. In addition, over the course of the student’s first two semesters in the program, they will choose a total of eight additional hours of Bible and/or Theology courses, from any area including Scriptural exegesis, church history, Biblical language study, or other concentrated theological courses and four hours of electives from any area of study. The second year is more flexible. Students take at least four hours of individually selected Bible or Theology credits and 10 hours of general electives per semester. Staff advisors help students choose courses that fit their unique interests and callings. 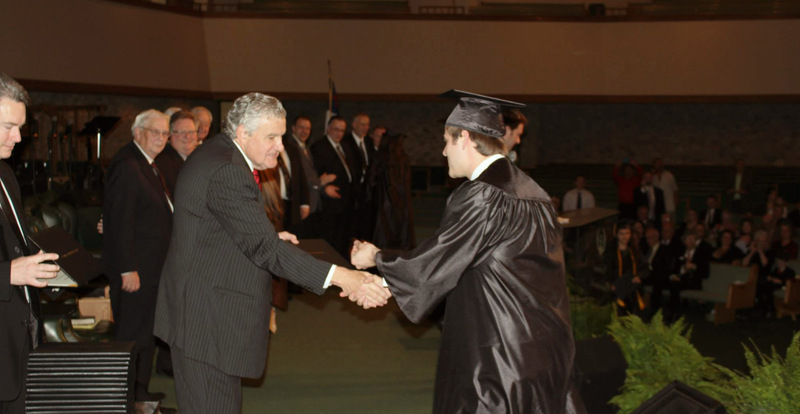 The accelerated degree plans offered at Indiana Bible College are designed with the student in mind. The goal of each is to graduate students who have adequately formed a solid Biblical foundation for the future and have established a Scripturally-guided Christian worldview. Indiana Bible College OYB/TYB students are equipped to follow the Lord wherever He leads through any open door, whether returning to the university or beginning a life of dedicated ministry in the Kingdom of God. My understanding and knowledge of the Bible was enhanced while at IBC. The lessons I learned in student government and Ministerial Student Association prepared me for leadership roles in my church, section and district.